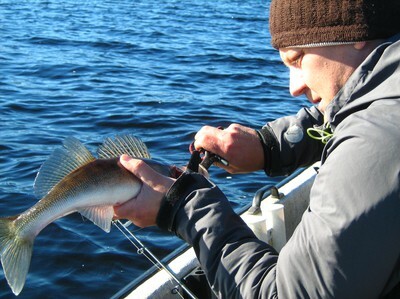 As Västra Örten did not produce the really big zander we are now heading towards Nysockensjön, Arvika. Gustav and Petter gave it a try with trolling before and it worked really good for them. So we have decided to prove the most productive areas with vertical jigging. But instead of zander I only get two pike. Henrik and Gustav in my boat do only slightly better.Today it's the youngsters beating the old. 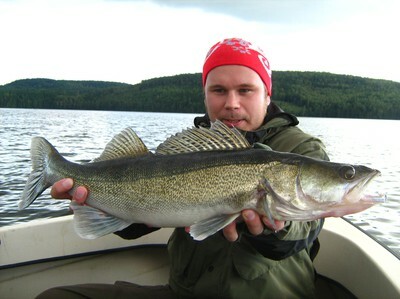 After half an hour of fishing Fredrik hooks a zander of almost 4 kilos. Throughout the day the other boat catches three times as much as my boat. After a lunchbreak Robert presents us his new personal best of almost two kilos. Some really nice perch are caught as well. Gustav loses the biggest at the surface. The weather is brilliant today with sunshine from morning till evening. The overnigt temperatures were already below zero degrees. 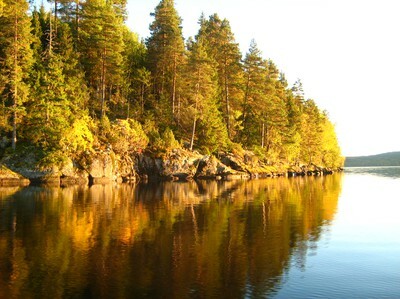 Autumn in Värmland. 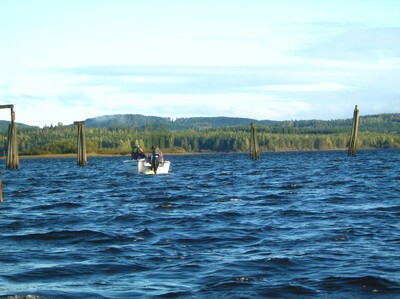 Introduction into jerkbait fishing at lake Lusten. Before we jump into the boats Christer informes us about tackle and technique. 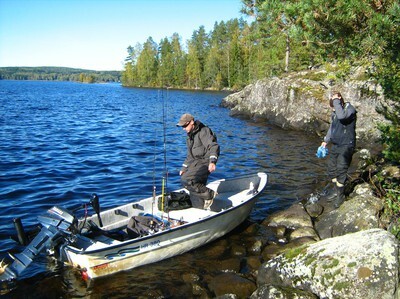 As Linus and I have fished with jerkbait before we get a boat on our own while the others join Christer. Within 6 hours of fishing I manage to catch just two small pike. But I’ve had quite a few contacts and a bigger fish came off after playing it for a while. 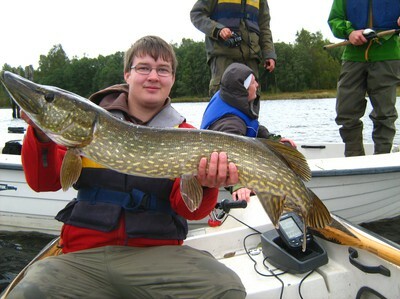 Besides this something funny happened: I reported to Linus on my fishing in Germany and how difficult it is to catch pike of 100cm +. Just two minutes later a massive fish takes his jerkbait 3 meters from the boat - a pike, exceeding the magical measure by 7 cm! 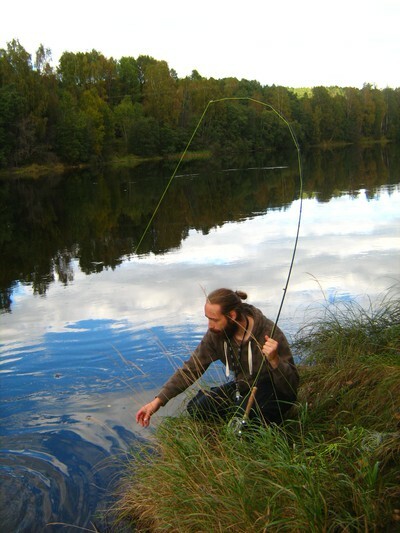 On Monday morning we are standing at Forshagaforsen for practicing some underhand casting with the double handed fly rod. In the afternoon we finally get the chance to wet a fly. But as the salmon fishing is really slow I decide to switch to my single hand rod, tackled up for pike. After 20 minutes of fishing I’m standing in the boat with my rod completely bent. 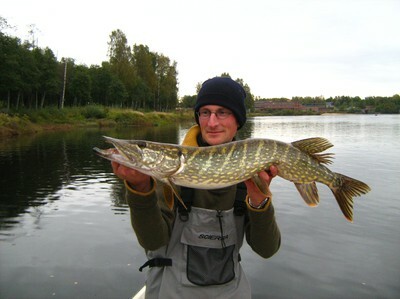 Yes, pike on fly! 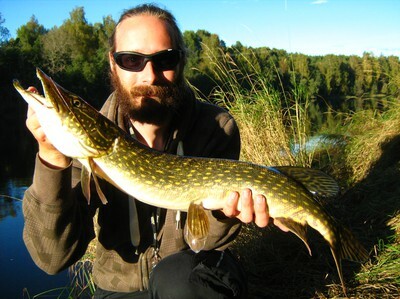 The Klarälven pike are waking up. 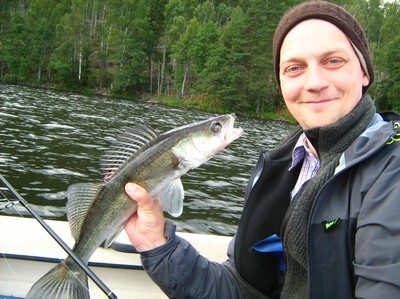 On Sunday afternoon Kristoffer takes two of them - on fly! Besides our standard jigs I tried out some fireball fishing. It worked but did not bring the number and size of fish I was hoping for. Robert had a really great day catching his personal best. But also Henrik and Daniel did very well. All in all it was a fantastic fishing day and we decided to come back for more and hopefully bigger fish.